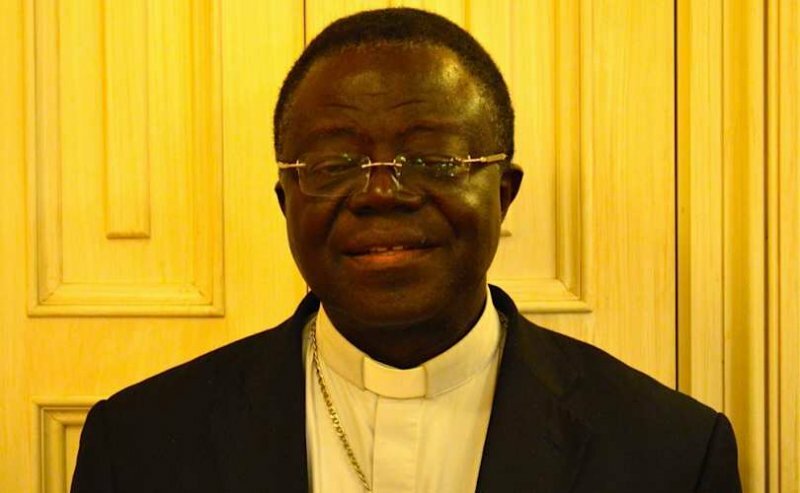 The Ghana Catholic Bishops’ Conference is the latest to join clamours by religious bodies for the Government of Ghana to send back to Guantanamo Bay, two ex-detainees, who have been relocated to Ghana. Their call follows similar calls by the Christian Council of Ghana (CCG) and the Ghana Pentecostal and Charismatic Council (GPCC). We, the members of the Ghana Catholic Bishops’ Conference, have received news of the transfer of two former Guantanamo Bay prisoners, namely, Mahmoud Omar Mohammed Bin Atef (36 years) and Khalid Shayk Mohammed (34 years) to Ghana with great distress and sadness and wish to call on our Government to act responsibly and in the interest of the nation by sending these men back to wherever they came from. Having learnt that of these two former prisoners, Mahmoud Bin Atef fought for the late Osama Bin Laden at one time, while Khalid Shayk Mohammed is known to have trained with the terrorist group, Al Qaeda, we wish to pose these questions, among others, for our Government’s response: What is their mission here in Ghana? Does their presence not constitute or pose a clear danger to us? If indeed these two persons are harmless and if they have been “cleared” of any terrorist act by the US Government, as our Government and the US Government and some others want us to believe, why were they not sent back to Yemen or Saudi Arabia or Afghanistan where they come from or taken to the USA which found them harmless? Did our representatives in Parliament discuss the merits and demerits of their resettlement here in Ghana? We need urgent answers to these and other questions because we think that their presence clearly poses a threat to Ghana. Our Government should not take the citizens of this country for a ride by acting in ways that can have serious consequences on the nation’s safety and security. Ghana has been open to receiving refugees in the past but these two men are not in this category. We think that they are not refugees but time-bombs and so Government should do all it can to send them back as soon as practicable. Over the past years, we have witnessed the upsurge of many terrorist groups wreaking havoc on innocent people in many places of the world. Today, the problems caused by such groups as those in the Islamic State of Syria and Iraq, Boko Haram in Nigeria and Cameroun, Al- Shabab in Somalia and Kenya, Houthi rebels in Yemen, to mention but a few, are evident for all to see. The recent terrorist attacks in France, Mali and other countries cannot escape our attention. We have reports of the movement of Boko Haram fighters across parts of West Africa, looking for places to pitch camp. This and other reports should make Ghana reflect soberly on how to tighten our nation’s borders and security to ensure that we do not fall victim to the attacks of these terrorist groups in the near future. The acceptance of two former prisoners of Guantanamo Bay Camp is surely not a good move in the effort to secure the security of the nation. In the lead up to elections this year, the security of our nation is going to be put to a severe test once again. We must understand that Ghana is not immune to the attacks of potential external terrorist forces. Yet, internal issues can make our country susceptible to such attacks. 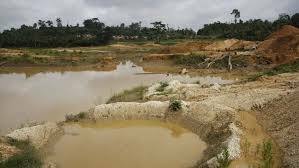 The Honourable Minister of Interior, Mr. Mark Woyongo, has mentioned that Brong Ahafo, for example, is a hotspot due to the challenges the people are facing in the aftermath of the closure of some financial institutions there. We still have security challenges in places like Bimbilla, Yendi, Alavanyo-Nkonya, and other places because of land and chieftaincy disputes. We have witnessed and continue to witness inter-party and intra-party violence and chaos. This year is an election year and we expect our Government to focus a lot of attention on helping to secure peace and security in the country by dealing with the above-mentioned and related challenges and not to risk the security of our land by hosting two former terrorists. This is why we think sincerely and honestly that to have two ex-prisoners of very dangerous backgrounds walking freely on our land is a wrong move and wish to call on Government to repatriate them as soon as practicable. We call on Parliament, Religious Leaders, chiefs, opinion leaders and civil society organisations interested in the security of Ghana to speak against this unilateral decision of the Government to accept these ex-prisoners to Ghana and to advise the Government to do all it can to send these men back to wherever they came from. We expect our Government to heed our humble call, if it is indeed a listening Government. Meanwhile Mahmud Umar Muhammad Bin Atef and Khalid Muhammad Salih Al-Dhuby, say they do not belong to any terrorist group. They told Uniiq FM’s Pascaline Adadevoh in an exclusive interview that not only do they love Ghana and Asamoah Gyan, but are also grateful to President John Mahama and the “good” people of Ghana for accepting to host them. “We want to live in Ghana quietly and peacefully and we want to put our lives together. We are really happy for the warm reception that Ghana has given us. I like Ghanaian people because they are very good people, they are very polite, we are very, very excited to come here because we know some of the things about Ghana; first of all is Asamoah Gyan, we know him, we like him very much…even a lot of [the] detainees … like Ghanaians and as I told someone here [earlier], in 2010 [during] the World Cup, most of the people there [Guantanamo Bay] – I can say all of us – we were with Ghana and when Ghana beat America, we were very happy. “…In the name of Allah, we thank the President and the good people of Ghana for the decision they made for accepting us. So, I just want the government to know and even the good people of Ghana that we are not part of any group or against, for example, al-Qaeda or [others] …We are happy we are here, we want to live very normal life. Allah bless you President [Mahama], and the people of Ghana,” they said. The comments by the two come amidst remarks by an Islamic scholar, Dr Mustapha Hamid that by dint of accepting the two ex-convicts, Ghana has now become a “legitimate target” of jihadists and terrorist groups in the world. “What I am telling Hanna Tetteh [Minister of Foreign Affairs] is that this fundamentalist ideology, which they held when they were at Tora Bora, has further been accentuated by the 14 years of incarceration in Guantanamo. “They [Jihadist groups] may not have anything against Ghana as a nation, but they certainly do have something against America, especially so because America has confessed that it had no evidence for which it incarcerated them for 14 years. A school of jihadist ideology is that: ‘The friend of your enemy is your enemy.’ That one is a non-negotiable aspect of the ideology that feeds al-Qaeda, Taliban, al-Shabab and Boko Haram, so we have shown by this act, which we believe to be an act of generosity and compassion, but in their mind, it is an act of complicity in the sense that we have shown ourselves to be allies of America. And Osama Bin Laden, who is, if you want, the ideologue of the jihadist movement, has stipulated this very clearly. He says that America and all its allies, including Israel and the rest of them, are all legitimate targets, so, I am putting it to you that it is not true that these people will see Ghana as intercessors. In fact, what we have done has just given us out as allies of America, and, therefore, we, in the eyes of jihadist ideology, have become legitimate targets,” Dr Hamid, who lectures at the University of Cape Coast told Bernard Avle on the Citi Breakfast Show on Monday. On the same day that he spoke, the Ghana Pentecostal and Charismatic Council also came out, as the latest religious group, to condemn the country’s decision to take in two Guantanamo detainees. The Christian Council of Ghana (CCG) was the first religious group to kick against the transfer of Mahmud Umar Muhammad Bin Atef and Khalid Muhammad Salih Al-Dhuby to the West African country for two years, as part of a deal between the Government of the United States of America and the Government of Ghana. 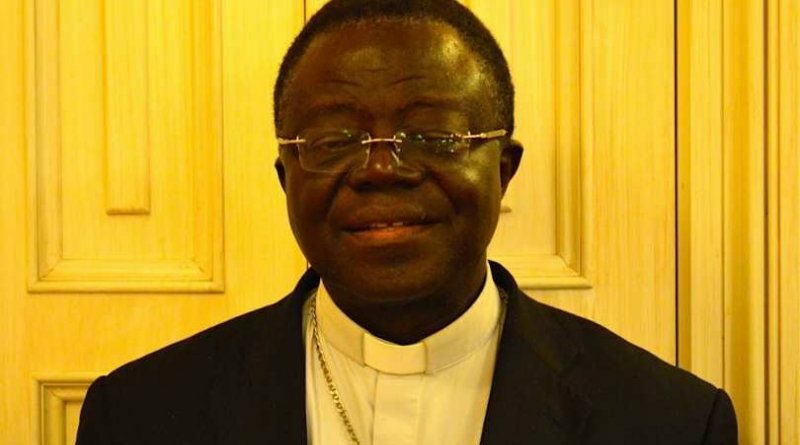 General Secretary of the Council, Apostle Samuel Yaw Antwi said in an interview on Monday January 11 that allies of the two may attempt visiting or coming for them since “they are not here on their own free will”. “They might follow up to come and find out what is wrong with them, and imagine if any of these people, something should happen to them while they are here for the two years. What are going to be the implications on our nation? So, these are the issues that we think need to be seriously discussed and we see that as a risk. “Their associates may come looking for them. Anything may happen to them and will Ghana be exonerated? The government should return them. They should make sure that they leave our soil. We don’t believe that their being here is of much gain to us – it might be a gain for some people; some outside forces – but as a nation, we don’t believe that it is in our supreme interest,” Apostle Antwi added in an interview with Citi FM Monday. “As a Council, we associate with the uncertainties and fears this issue has generated among our people, and request that government should consider immediate rescission of the decision and relocate the inmates outside the country. “The non-engagement of civil society and other stakeholders on such sensitive security issue that affects the common good of the nation has put all of us at risk as the ordinary people don’t know what is required of them in the current potential security threat. In fact, the whole process lacks transparency. “It will be recalled that, in 2007, the United States (US) government wanted to establish its African Command (AFRICOM) in Ghana and most Ghanaians and African countries kicked against it. “The admission of the Guantanamo inmates into Ghana is no different from setting up an AFRICOM in Ghana. “We are of the strongest view that the inadequate public consultation and broader consensus building by government is exposing our nation and the entire sub-region to terrorist attack, and must be reversed,” the statement said. Mahmud Umar Muhammad Bin Atef and Khalid Muhammad Salih Al-Dhuby, arrived in Ghana on Thursday January 7, 2016 for a two-year stay as part of a deal reached between the United States of America and the Government of Ghana. Their transfer is the first of an expected 17 such transfers approved for January, the Pentagon announced Wednesday. Mahmud Umar Muhammad Bin Atef and Khalid Muhammad Salih Al-Dhuby were held for more than 13 years at the detention facility in Cuba. They were unanimously approved for transfer by the interagency Guantanamo Review Task Force, according to a Pentagon statement issued Wednesday afternoon. The task force is comprised of six departments and agencies charged with determining which detainees can be safely transferred from the facility. “The United States is grateful to the Government of Ghana for its humanitarian gesture and willingness to support ongoing U.S. efforts to close the Guantanamo Bay detention facility,” the statement read. “The United States coordinated with the Government of Ghana to ensure these transfers took place consistent with appropriate security and humane treatment measures,” it added. Guantanamo Bay now holds 105 detainees. Fifty-nine are not eligible for transfer for security reasons. Defence Secretary Ash Carter last month notified Congress that 17 detainees would be transferred from the facility to other nations throughout January. Fifteen of them were transferred last year. Bin Atef, according to the New York Times Guantanamo Docket, was born in 1979 in Saudi Arabia and fought with Osama Bin Laden’s 55th Arab Brigade and was an admitted member of the Taliban. He was captured in Afghanistan and transferred to U.S. custody about January 2002 after engaging in combat against the American-led coalition. Like Bin Atef, Salih Al-Dhuby was born in Saudi Arabia and claims Yemeni citizenship, according to the New York Times Guantanamo Docket. The suspected Al-Qaida member was born in 1981 and was captured by Afghan forces in December 2001 following an explosion near Tora Bora. He’s been held in Guantanamo since May 2002. President Barack Obama has promised to close the Guantanamo Bay facility since he was a candidate in 2008, but has struggled to do so amid Congressional opposition to move detainees to a prison in the United States. The 2016 National Defence Authorisation Act, passed in November, banned moving any detainees to the United States. Obama announced at the time he opposed that provision, but he signed the bill anyway. Apart from the two religious groups, many prominent Ghanaians have also condemned the move. International relations expert Dr Vladimir Antwi-Danso, for instance, has said it could open up the country to security threats. 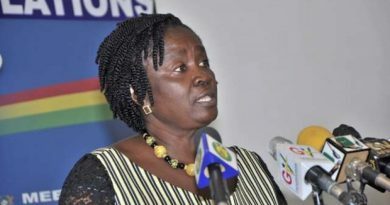 Also, a former presidential advisor in the Kufuor administration, Vicky Bright, has said Ghana, by accepting the detainees, was importing trouble to its shores. Former Deputy Minister for the Interior, K.T. Hammond has said the two should be sent back to Guantanamo Bay. The Minority in Parliament has also raised concerns about the failure of the presidency to consult the House over the matter. Latest to join the fray is a Ghanaian solider in the British Army who says Ghanaians must rise up against the move. “Ghanaians should come out of their comfort zones and say we don’t want to tolerate this,” Dr Robert Nesta Lartey, MCMI MIET, told Ekow Mensah-Shalders on Class91.3fm’s Executive Breakfast Show on Monday January 11. According to the 4-time war veteran and aircraft engineer – who says he is one of few people to have worked on all five British Army Helicopters (aircraft) namely: Gazelle helicopter, Lynx helicopter, Highlander fixed wing, Defender fixed, and Apache helicopter – if the United States, which has a strong intelligence network and military might, is unable to house the two detainees, then what business does Ghana have accepting them? 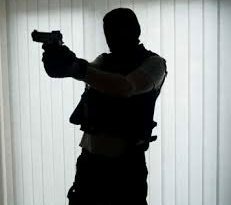 Dr Nesta Lamptey, who served twice in Afghanistan, once in Iraq, once in Northern Ireland, and also worked with the UK Special Forces for two years fixing aircraft, said the Ghanaian authorities have done the country a disservice by accepting to host Mahmud Umar Muhammad Bin Atef and Khalid Muhammad Salih Al-Dhuby.